New South Wales doctors can legally prescribe medicinal cannabis for their patients now. Under the amendments to the Poisons and Therapeutic Goods regulations, cannabis-based medications will be available to a range of people for whom more mainstream treatments are not effective. The law change will allow doctors to apply to the NSW Health Board to prescribe cannabis-based products that are not currently on the Australian Register of Therapeutic Goods. Among the potential uses for medical cannabis is the treatment of arthritis, HIV/AIDS, diabetic peripheral neuropathy, multiple sclerosis, cancer, Alzheimer’s disease, nausea and vomiting due to chemotherapy, anxiety and depression. “This change increases the options available for doctors as it means a broader range of cannabis-based medicines can be prescribed – while we continue our evidence-based research looking further into the role medicinal cannabis can play,” NSW Premier Mike Baird said. Recreational use of cannabis had no negative effects on the health of kidney recipients in a study with 1225 patients. Results were published by scientists at the Department of Surgery of the University of Maryland School of Medicine in Baltimore, USA, in the journal Clinical Transplantation. They retrospectively reviewed data of kidney recipients from 2008-2013. 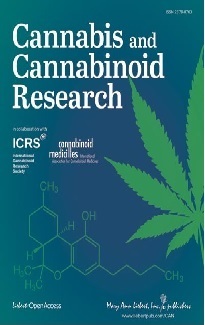 Cannabis use was defined by positive urine toxicology screen and/or self-reported recent use. A new bill, which is backed primarily by deputies from Prime Minister Matteo Renzi's Democratic Party (PD) and the 5-Star Movement, would allow people to carry five grammes on their person or keep 15 grammes at home. A person growing cannabis would no longer risk imprisonment but be able to cultivate up to five plants. Supporters argue that the law would take profits from the mafia. 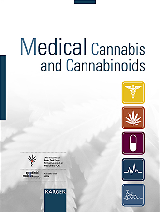 In a study with 14,953 adolescents from 141 schools there was no association between the availability of medical cannabis dispensaries and cannabis use. Shi Y. Prev Med 2016;91:1-7. In studies with mice researchers demonstrated that the number of CB1 receptors on the mitochondria, the “power plants” of the cells, quickly increases after traumatic brain injury. This contributes to the mitigation of health consequences, including programmed cell death of nerve cells. First affiliated Hospital of Zhejiang Chinese Medicine University, Hangzhou, China. One minute of exposure to cannabis second-hand smoke substantially impaired endothelial function of arteries in a study with rats for at least 90 minutes, considerably longer than impairment by tobacco second-hand smoke. Cardiovascular Research Institute, University of California, San Francisco, USA. In a study with a certain form of white blood cells (macrophages) the activation of CB2 receptors improved efferocytosis by macrophages and authors concluded that this “might provide a novel mechanism on how CB2 activation reduces vulnerability and promotes stability of atherosclerotic plaques.” Efferocytosis is the process by which dying/dead cells are removed by cells such as macrophages. In study with rats several chemical compounds of the indene group, certain polycyclic hydrocarbon, activated the CB1 receptor but did not penetrate into the brain. They were shown to exert analgesic effects against neuropathic pain. In a study with nearly 5000 drivers suspected of driving under the influence of drugs there was no correlation of tests on psychomotor performance and THC blood concentrations. The Orange County Crime Lab, Santa Ana, USA. In a study with 841 war veterans 8% reported that they had a current medical cannabis card. Most of these participants (78%) reported using cannabis to treat severe/chronic pain. Further reasons for cannabis use were posttraumatic stress disorder and sleep disturbance. In a study with piglets the combined protective effect of hypothermia (reduced body temperature) and cannabidiol (CBD) on damage to brain cells caused by reduced oxygen supply during birth was greater than either hypothermia or CBD alone. After legalization of cannabis for recreational use in Colorado, USA, there was a significant increase in numbers of admissions of children to the Children’s Hospital Colorado in Aurora due to unintentional intake of cannabis products. The mean age of the children was 2.4 years. The numbers increased from 1.2 per 100 000 population 2 years prior to legalization to 2.3 per 100 000 population 2 years after legalization. Department of Pediatrics, University of Colorado Anschutz Medical Campus, Denver, USA. Mathison Center for Mental Health, University of Calgary, Canada. Following a study with 55 new-born piglets, which were deprived oxygen, researchers wrote that “in contrast to previous studies, we do not find significant protective effects of CBD after HI [reduced oxygen supply] in piglets.” They noted that perhaps the CBD dose might have been too low in their study. Women and Children's Division and Institute for Surgical Research, Oslo University Hospital, Rikshospitalet, Norway.